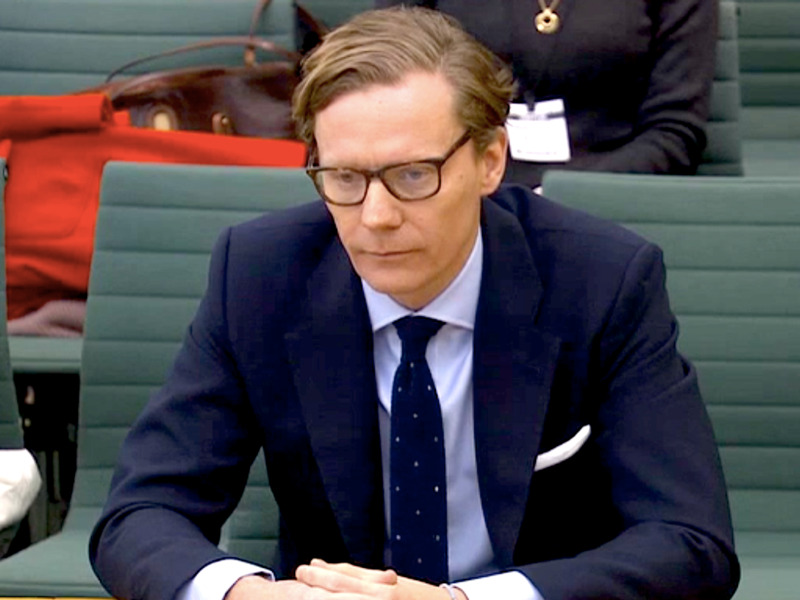 Parliament TVCambridge Analytica CEO Alexander Nix gives evidence to the Digital, Culture, Media, and Sport Committee. The Facebook data scandal has all-but confirmed Cambridge Analytica’s shadowy role in the US election, but its involvement in Brexit is even more murky. The company repeatedly claimed it worked with Leave.EU, only to later completely deny any collaboration with Nigel Farage’s Brexit campaign group. Leave.EU executives have also contradicted themselves on the role Cambridge Analytica played in helping it influence voters in Britain. The Facebook data scandal all-but confirmed a long-held suspicion that Cambridge Analytica (CA) used online voter profiling techniques that may have helped swing the 2016 US election in favour of Donald Trump. But while questions about CA’s shadowy work in American democracy are being bottomed out, many still linger about the company’s involvement in the UK’s historic vote to leave the European Union. British politicians have called for a full investigation into CA’s work in the UK and overseas, particularly after the firm gave differing accounts of the work it undertook for Nigel Farage’s Brexit campaign group, Leave.EU. Here are all the times CA has brazenly contradicted itself over its involvement in helping to persuade British voters to leave the EU. In February 2016, CA’s Chief Executive Alexander Nix penned a comment piece for British trade journal Campaign about how data had – ironically – helped Ted Cruz beat Trump in the Republican primary in Iowa. But in evidence to the Digital, Culture, Media, and Sport Committee (DCMSC) last month, Nix furiously backpedaled from this version of events. 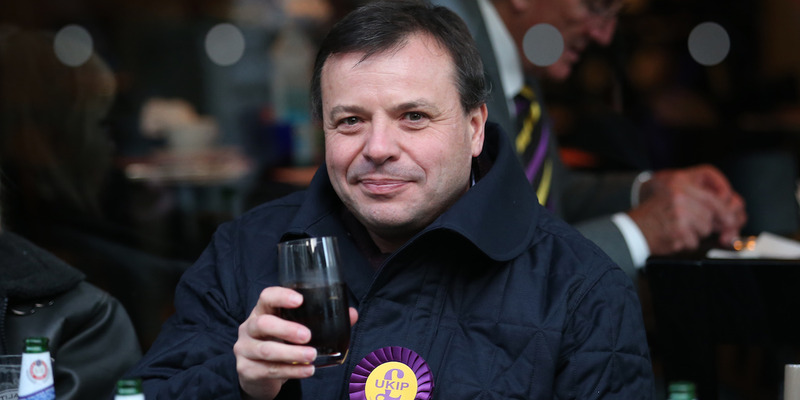 He said the Campaign comment piece was drafted by a “slightly overzealous PR consultant” and was published before it entered into an official partnership with Leave.EU. The CEO was pressed on the matter repeatedly by the committee. “The facts of the matter are that we did no work on that campaign or any campaigns. We were not involved in the referendum,” he told MPs, adding that he would be “pleased” to provide bank statements showing that no money passed hands between Leave.EU and CA. On Sunday, Collins cast doubt over Nix’s evidence to MPs. He said the revelations that CA harvested data from 50 million Facebook accounts meant Nix had “deliberately misled the committee and Parliament” by saying CA does not engage in such activities. Nix explained that the work he referred to was simply preparatory. He said: “I was using the word ‘work’ to mean that we met with them to discuss an opportunity. That is working. 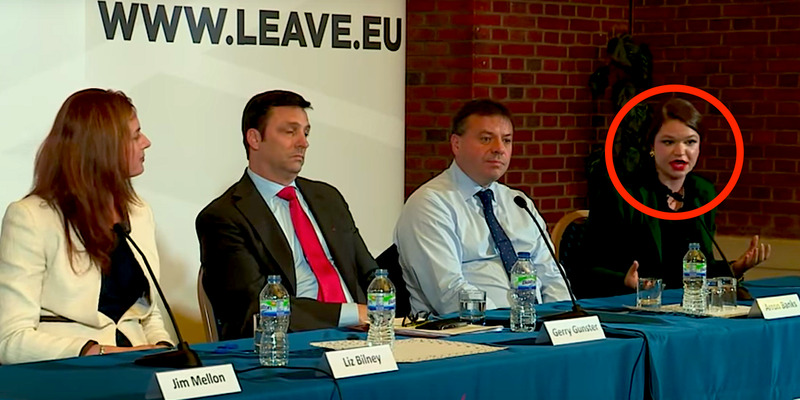 Flashback again to 2015, and at a launch event for Leave.EU in November, CA’s Business Development Director Brittany Kaiser was sat on the press conference panel. Leave.EU/YouTubeCambridge Analytica’s Brittany Kaiser at the Leave.EU event. She told the audience that CA will be “running large-scale research of the nation to really understand why people are interested in staying in or out of the EU. The answers to that will help inform our policy and communications.” You can watch the full press conference here. Soon after the Leave.EU event, Kaiser elaborated on their connection in another trade journal. She told PR Week that CA’s “team of data scientists and analysts” were working on targeted messaging by “understanding why certain things worry people… probing why people care about a certain issue.” Again the piece is still online. Of course, according to Nix, this was a public pronouncement by a more junior member of his team about a contractual relationship with a client that never existed. It wasn’t just CA that repeated claims that it worked with Leave.EU, the campaign group itself boasted about their collaboration on a number of occasions. Furthermore, Communications Director Andy Wigmore admitted last year that Leave.EU hired CA and can “highly recommend” the company’s services. Wigmore explained that CA was “happy to help” with its work on Brexit because Farage is a “good friend” of Robert Mercer,the hedge fund billionaire who is reported to have invested in CA. Leave.EU even named CA in its paperwork when it applied to the Electoral Commission to be the official Brexit campaign, according to DCMSC chair Collins. The company was not designated as the official campaign group and Nix said he was unaware CA had been named in the documents. And just like Nix, Banks has rowed back from his statements about CA and Leave.EU’s relationship.